The strong clove-like flavor of basil is an essential feature of many Italian recipes. It grows as a bushy plant with pale green, aromatic foliage. 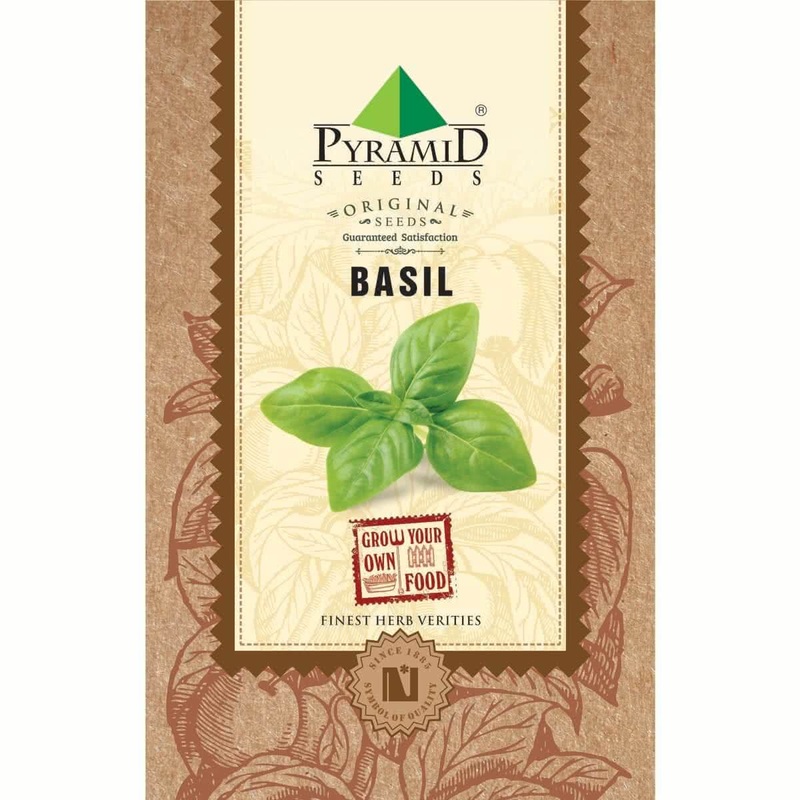 Introduction and Uses:Basil is an annual, erect herb. It is commonly known as the "royal herb" and "king of herbs". The popular culinary herb belongs to the Lamiaceae family and is native to India along with the other Asian tropical areas. The word "basil" was derived from the Greek word "basileus," that means "king." Loved and savoured for its taste and aroma, Basil is widely used to prepare traditional Tamil and Ayurvedic medicines. It is well known for its extensive use in the Italian cuisine. Seeds can be sown any time of the year in India by transplantation method. Step 1: Sow the seeds indoors, in seedling trays, 0.5 cm deep in coco-peat or soilless organic veggie potting mixture. Step 2: Seeds should germinate in 7-14 days. Step 3: Thin out the small, extra, overcrowded seedlings in seedling trays. Step 4: Let the germinated seedlings grow in a seedling tray for 3-4 weeks before transplantation. Step 5: Keep the seedling tray in semi shade while the germinating seedlings grow. Step 6: Transplant the healthy seedlings in pots or yard gardens. Step 7: Use good quality organic potting mixture to grow Basil plant. 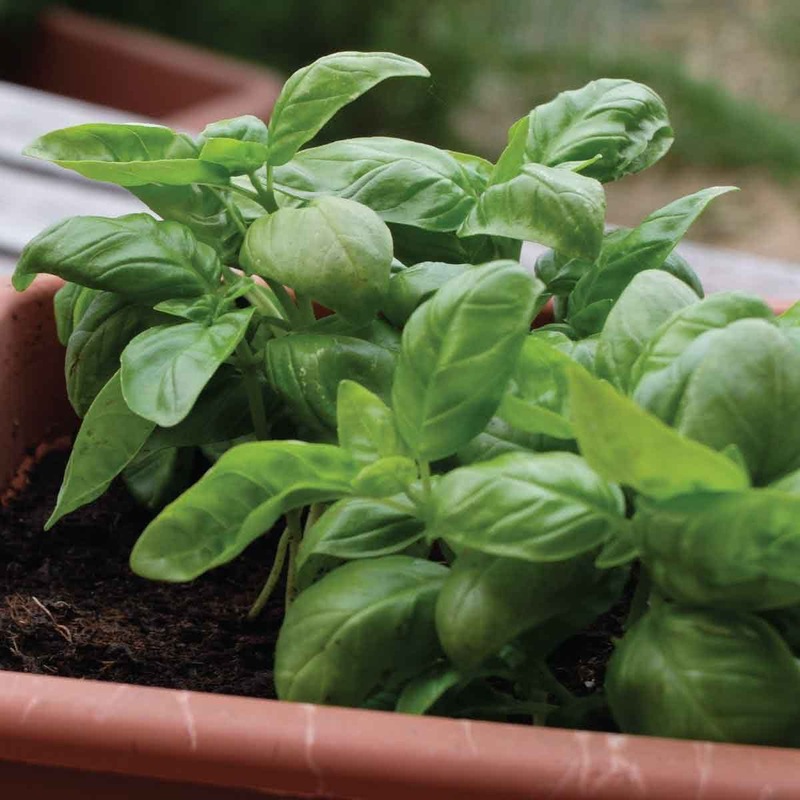 Keep your Basil plant in sunny outdoor location for best flavour. The plant does not mind partial sunlight of 3-4 hours. Basil plant requires regular watering by shower method every alternate day. Add a handful of vermicompost to parsley plant every 20 days. Keep pinching the growing tips of the plant as you harvest the foliage. Never harvest more than one-third of growing the plant at a time. Harvesting of foliage can begin in 60-90 days of seed sowing. Sweet basil also called Genoese Basil, has a sweet aroma and a warm flavour. You can store in a glass of water at room temperature and away from direct sunlight. Usually, its leaves are used, but you may also use the flower buds or for garnishing salads. Purple Basil has a great aroma and features purple leaves and pink flowers. Lemon Basil has a lemony fragrance and is ideal for salads. Thai Lemon Basil / Hairy Basil comes with a lemony-peppery flavour. Quality of the seeds are great! I got the seeds and planted them in several pots.Within a week all seeds started germinating and now they are growing healthy and the quality of the leaves are very good and green.Happy with the product.